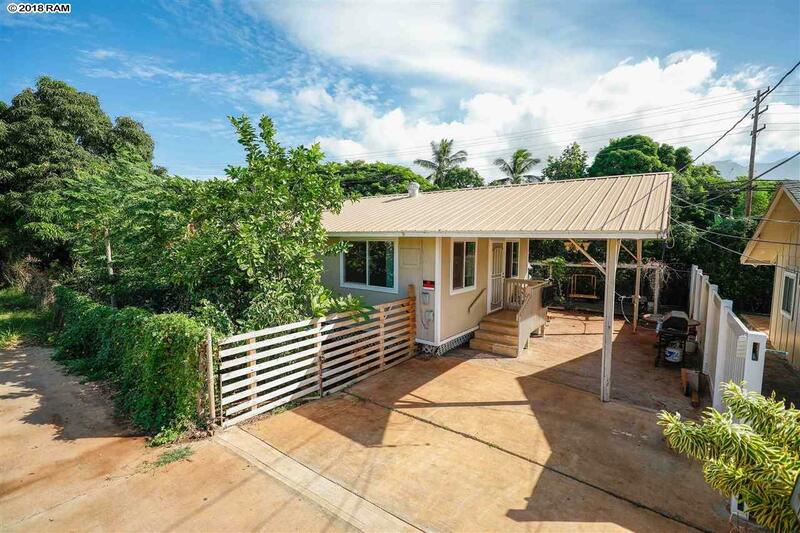 The living is easy in this charming 2BD/1BA Lahaina home. Recently renovated, this home features stainless steel appliances, granite countertops, self-closing cabinets, porcelain tile flooring throughout the living area, and laminate wood flooring in the bedrooms. Property is fully fenced with a large yard full of mature fruit trees and a newly built storage shed. Perfect for couples or small families, this home is conveniently located within walking distance to Lahaina Cannery Mall, Front Street, beaches, schools, and public transportation.